Follow the Theta Upsilon Chapter! About Being an Alpha Gam! 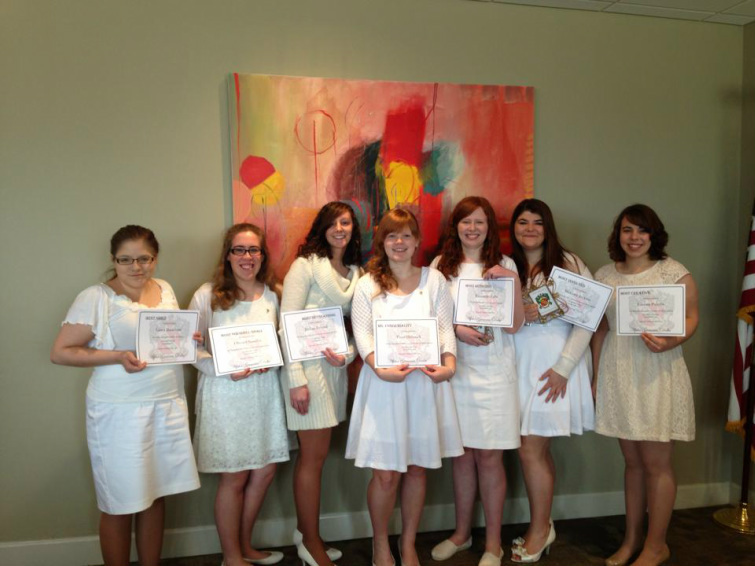 Welcome to the Alpha Gamma Delta chapter page here at Georgetown College. We hope you find this page informative and interesting as you learn more about the Theta Upsilon chapter and what it's like to be an Alpha Gam! Welcome our newly initiated members! From left to right: Laura Buckman, Olivia Chandler, Jordan Penrod, Pearl Hebrock, Kennady Rabe, Makayla Jackson, and Lauren Paletta! Also say hello to our new member, Chelsey Constant! To find out the new, exciting things that the ladies of Alpha Gamma Delta are up to this semester, be sure to head over to the Upcoming Event's page regularly, as we have several fun events coming up very soon!